In 2016, Lil Rel and Erica Ash met for the first time on set with us as their interviews overlapped for the Well, in West Hollywood. This year, they will star in Uncle Drew together. In 2016, we met Ruth E. Carter at her home. We are thinking, she had to know about Black Panther then. But couldn't share with us then what she can now. We chatted with her in 2016 and then again this year, the week before the release of Black Panther. 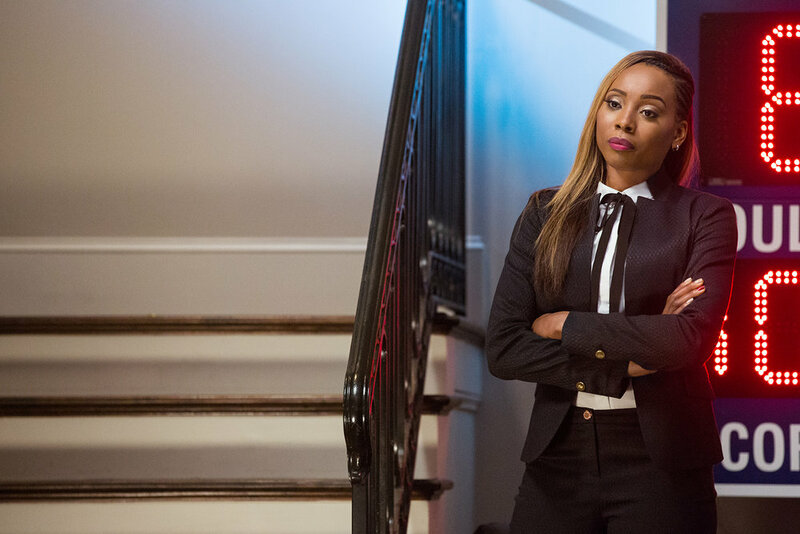 In 2017, we spoke with leading actors of Power for what we found to be some of the most provocative content to date from the two very unassuming talents, Naturi Naughton and Lela Loren. We reviewed LA 92 last year, directed by TJ Martin and Dan Lindsay. A year later they would win an Oscar for the documentary. And next month, we will chat with Lena Waithe and Stefon Bristol, about what's happening now and how they continue to refill their creative well. ...are discussed as it relates to moving pictures and refilling your creative well. Created by Director/Producer Jeanette McDuffie and Publicist/Photographer/Producer, Micaeh Johnson, the two came together in order to extend the voice of their personal work and conversations to a platform online for large audiences. THE WELL will continue to grow their voices while focusing on the extensive work of the subjects. The creatives are all of us, yesterday, today and tomorrow. The well has featured the likes of Lil Rel Howery as an obvious choice. Lil Rel, with his acting role in the culturally relevant and highly recognized movie, "Get Out," shared with the Well, his path to achieving this growing success. During our interview with the subject, he lead us down the path of his creative process, how and why he found it important to let audiences know where he was from, the role dreams play in his reality and what continues to inspire him. This year, has already seen pivotal moments from many of these actors and artists' careers we selected to discuss as they continue to push relentlessly and spiritedly to have their artistry visible on large platforms. Going from the stage to onscreen, transferring their roles from one television show to the next, creating paths paved by their own innovation and vision. Their human and soulful qualities is what lead us to invite them to the Well and we invite you to check out their stories and other artists on our artist interviews page or on instagram. Their stories and evolution can be found in multiple spaces online, on television, the big screen and on stage as well. They found some of the industry's brightest to share how they came out of the dark, to the light, in order to create....even more. Jeanette imagines a world where the images in TV and film are as textured, colorful, complex, rich and varied as the lives we’re actually living. She writes and directs because she wants people to see diverse reflections of themselves on screen. She believes the power of writing is that you don’t have to ask someone to let you in. You can write a new reality and invite others in. It is Jeanette's ability to write, create and direct that leads audiences right into to this very digital space that feels like home. Micaeh is a seasoned Communications Strategist. After years of successful practicing, she found herself creatively frustrated and decided to integrate her knowledge of public relations with her passion for photography; seeing the art practice as a natural extension of a person’s voice. Now using photography and producing to elevate her own voice as well as the voice of her clients, she showed her work for the first time to the public at an exhibition in the summer of 2014 and continues to curate right here on the Well's site. David gets his creative inspiration from his independence. In between stops on his cross country tour on his motorcycle, David creates using his camera interchangeably between still and video. It is his eye that reflects the visions of directors, producers and writers across multiple mediums. When David isn't creating for hire, he captures street art serendipitously across the country at musical concerts, in landscapes and with people. It is David's raw eye and seasoned skills that leads the vision of the Well.